Whether you want to start a creative business, turn your hobby business into a profitable venture, generate online sales, or grow a team, this book is for you! Following a lengthy career in the corporate industry, Angela Edwards decided to fulfill her longterm dream of owning her own business making and selling jewellery and home accessories. She now specialises in coaching, teaching and supporting people to start and grow a business in the handmade sector. 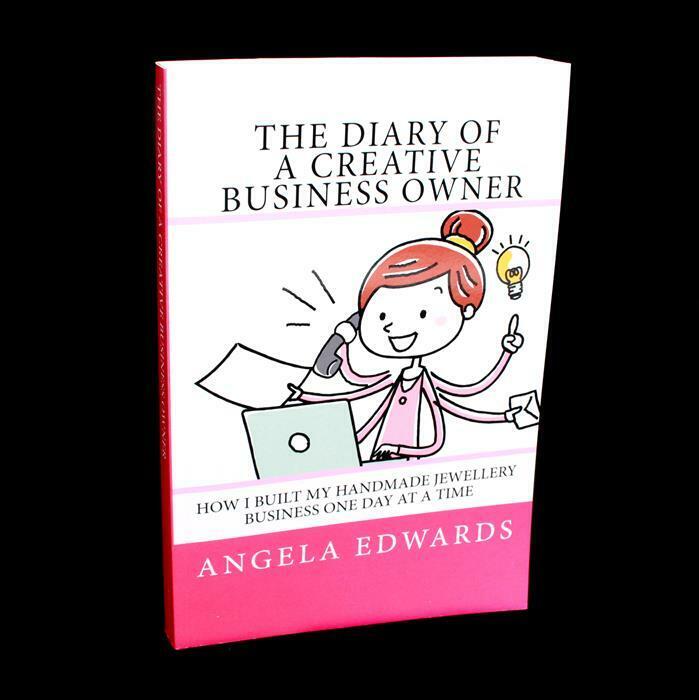 'The Diary of a Creative Business Owner' follows fictional character Gloria on her own personal business journey. Through her story in diary format, you will learn the techniques, tools, actions and activities to grow a successful business. Angela's first book entitled 'Craft Fayre Success' sold out in just 58 seconds on its live Jewellery Maker TV launch, so make sure you don't miss out on this second book and its accompanying 'Creative Business Planner'! Part way through reading this, an inspiration!